Around the middle of the 20th century several new compositional styles (while not emerging entirely new) came to represent dominant streams, almost establishing a kind of “common practice”, for at least a few years. While these methods of composing have lost much of their initial momentum, their influence continues to effect composers even today. Serialism, Indeterminacy, Musique concrète all gained ascendancy between 1948-1952. Specifically, Serialism was taken up by the composers of the European continent, most famously at the Darmstadt conferences by composers such as Pierre Boulez, Karlheinz Stockhausen, Karel Goeyvaerts and others. Indeterminacy, while used earlier by Charles Ives and Henry Cowell, the most important contributions were by John Cage and the New York School including Morton Feldman, Earle Brown and Christian Wolff. Musique concrète was created in the studios of Pierre Schaeffer and Pierre Henry, around the same tme. However, the term “concrete” is a bit misleading for English speakers, since the French term has nothing to do with cement pavement, but might better be translated as “real” sounds. Schaeffer and Henry recorded the sound of locomotive engines, street sounds, doors closing, etc. They discovered that if they removed the attack of the sound, the beginning of the audio file, they could create a pure sound divorced from its context. They would splice together and layer these audio samples to create musical works. Also included in the title to this article is Minimalism. This style became popular long after the other three, but can be viewed as either a continuation of, or reaction against, and heavily influenced by one or more of the other three. Serialism is a method or technique of composition that uses a series of values to manipulate different musical elements. 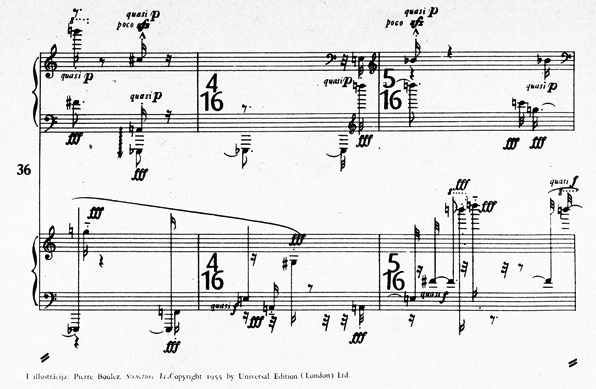 Serialism began primarily with Arnold Schoenberg’s twelve-tone technique, though his contemporaries were also working to establish serialism as one example of post-tonal thinking. As employed by Schoenberg and his school, generally, the row series did not stipulate the octave register for the pitch and instances of the pitches would occur either in a high, low or middle register. The preferred term is “pitch class” since this phrase underscores the distinction between the entire class of a pitch as opposed to one specific instance of it. Anton Webern, however, would repeat the same note in the same register and this later provided inspiration for Philip Glass and other Minimalist composers. But Webern was somewhat unique in this regard, since usually Schoenberg and other 12-tone composers would utilize the tone row as raw material for the composition. Most often, they would segment the row into smaller units, three notes (trichord); four notes (tetrachord); etc., and use these as motives for development, placing the notes in any register and, in fact, often exploiting octave displacement in a melodic line as much as possible. One of the most important developments of the serialist composers of the 1950s, and after, was to serialize durations, dynamics and articulations, as well as, the pitches. This procedure is sometimes called Total Serialism or Absolute Serialism. 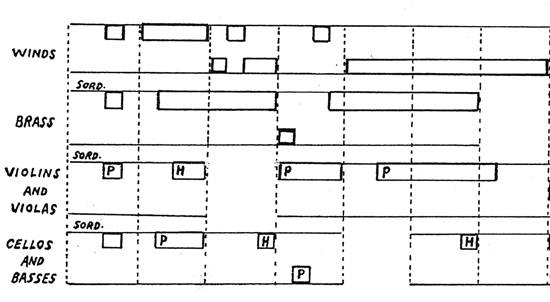 It was Olivier Messiaen’s unordered series for pitch, duration, dynamics, and articulation from the pre-serial Mode de valeurs et d’intensités which provided the prototype for Pierre Boulez and other Darmstadt composers. 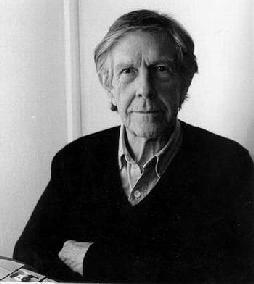 The classic definition of indeterminacy derives from John Cage, according to which indeterminacy “refers to the ability of a piece to be performed in substantially different ways”. Bryan Simms thus conflates indeterminacy with what Cage called chance composition when he claims that “Any part of a musical work is indeterminate if it is chosen by chance, or if its performance is not precisely specified. The former case is called ‘indeterminacy of composition’; the latter is called “indeterminacy of performance”. This is an important distinction, since Cage considered Music of Changes to be determinant, despite it being completely composed using indeterminate methods (i.e. deriving numbers from the I Ching in order to determine the compositional decisions) since it was frozen for performance. I find it interesting that in both the case of Serialism and Indeterminate music, one goal is to dissolve the control of the composer for the results of the composition. And in fact, music written using a serial method or indeterminate methods can produce the same musical effect. While it is true that the motivation for Boulez and others was to “purify” the music from entrenched stylistic and unconscious references to earlier music, and Cage’s motivation was the actualization of Eastern philosophic principles – the end result often sounded quite similar. Conversely, Musique concrète was entirely about the selection process, one completely controlled by the composer. The most important step in the process was finding the source material for the sound elements to be used, which a composer would accomplish either by recording sound from his environment, or finding previously recorded sound from any source. The next step of arranging these sound samples, first using tape machines, and later using computers, was also entirely determined by the composer. It was only when live electronics began to be used during performance did the element of chance enter into the process. But, strictly speaking, that sort of performance is no longer Musique concrète but must be considered electronic music of a different kind. Morton Feldman example of graphic score. So how does Minimalism fit into this picture? There is wide speculation that Minimalism was a response to the complexity of both Serialism and Indeterminate music. Both of these kinds of compositions required special performance skills and sometimes made enormous demands (either technically or interpretatively) on a performer. One reason why a composer like Milton Babbitt moved to writing serial pieces to be reproduced by a computer was precisely because human performers simply could not execute the small gradations in dynamics, e.g. distinguishing between pppp and ppp very quickly, or executing the complicated rhythmic writing often found music which is written using serialist methods. However, the Minimalist composers also noticed that Webern, for example, created a stasis with his music by having a certain note in the series always appear in the same octave register. One has the experience of time coming to a standstill when listening to much of Webern’s music. Composers such as Glass or Terry Riley are not so far removed from Webern as it might seem, and achieving this kind of stasis is at the heart of Minimalistic music. It is also true that Minimalist music is basically a form of serialism. 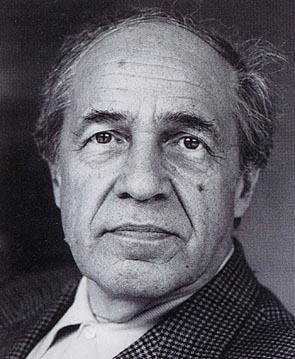 But whereas a composer such as Pierre Boulez was exclusively concerned with chromatic series, the Minimalist composers used diatonic or pentatonic scalar fragments, but both developed them serially and applied mathematical procedures to the compositional process. There is certainly much more to be written about all of these styles, but I wanted to offer some insights and show how these disparate styles share some characteristics in sometimes surprising ways. Griffiths, Paul. 2001. “Serialism”. The New Grove Dictionary of Music and Musicians, second edition, edited by Stanley Sadie and John Tyrrell, 23:116–23. London: Macmillan Publishers. Pritchett, James. 1993. The Music of John Cage. Music in the 20th Century. Cambridge, New York, Melbourne: Cambridge University Press. ISBN 0-521-41621-3 (cloth); ISBN 0-521-56544-8 (pbk). Simms, Bryan R. 1986. Music of the Twentieth Century: Style and Structure. New York: Schirmer Books; London: Collier Macmillan Publishers. ISBN 0-02-872580-8. ‹ PreviousMieczyslaw Weinberg (1919-1996): the third greatest 20th century Russian composer? An interesting and informative overview. If you don’t mind, I’ll place a link in my next article in the ‘Pythagoras and the Music of the Future’ series which should be along in a few days. A basic premise is that integral serialism didn’t last long because the elements of pitch, rhythm, and timbre were divorced from their natural relationship as embodied in the ‘pitch rhythm continuum’. In other words, they were related according to numerical relationships which, for the most part, had no basis in acoustics and therefore had little potential for the ‘organic’ growth witnessed in earlier periods. I think your article is very helpful in providing the necessary background. Thanks. This helped me study for my music history exam.